A large deer antler chandelier hangs over the counter and stag heads feature on the unusual wallpaper. There are also handy stag head coat hooks on the back of the toilet doors. 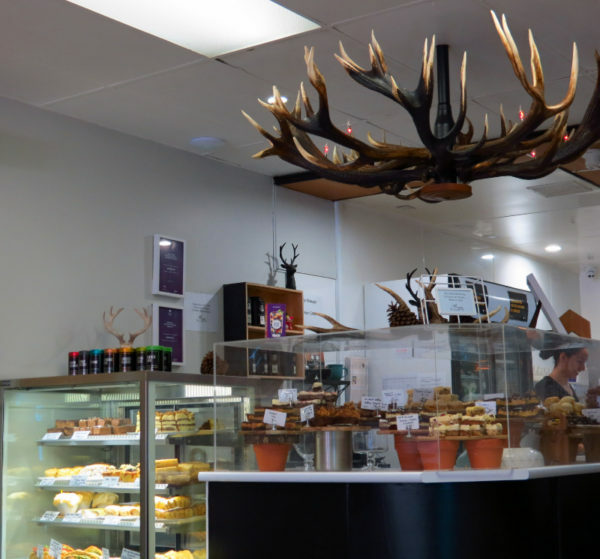 Wild food is a small part of Scope’s food offering and I think Scope have one of the best looking cabinets of sweet treats in Rotorua. 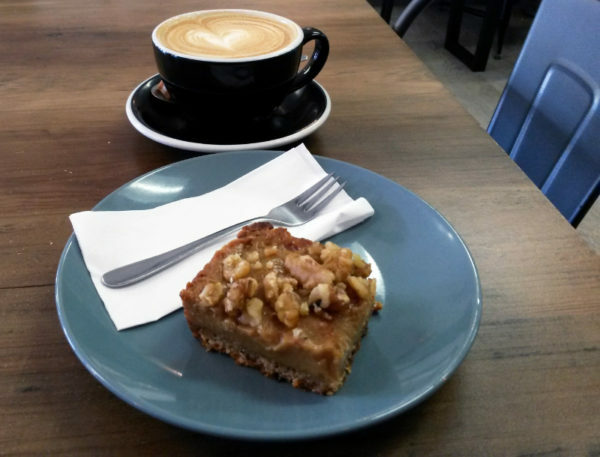 It would take more than a few visits to work through the treats but I made a start with a toffee, coffee and walnut slice because nuts, they’re good for me. Service is excellent at Scope, add to that a light, bright and modern environment and you’ve got a cafe worth setting your sights on. Find Scope at 1296 Tutanekai Street, open 7 days. 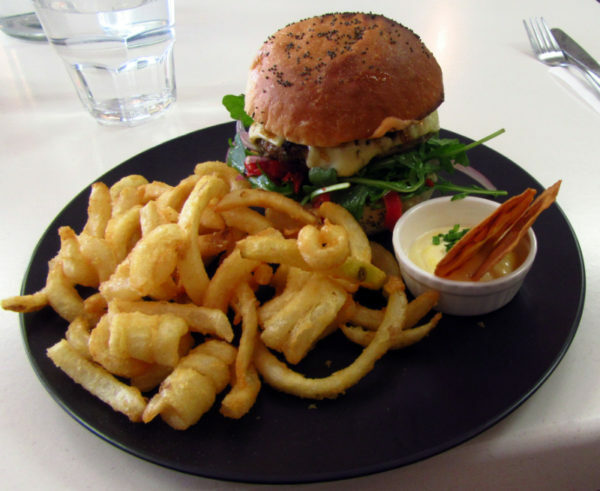 This entry was posted in Eats & Drinks, Rotorua, Unusual Cafes and tagged unusual cafes by thecuriouskiwi. Bookmark the permalink.